Brewster F2A Buffalo - PLANESPOTTING.EU. 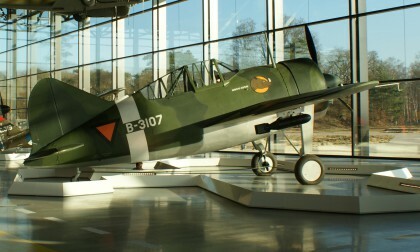 The Brewster F2A Buffalo was an American fighter aircraft which saw service early in World War II. It was one of the first U.S. monoplanes with an arrestor hook and other modifications for aircraft carriers.